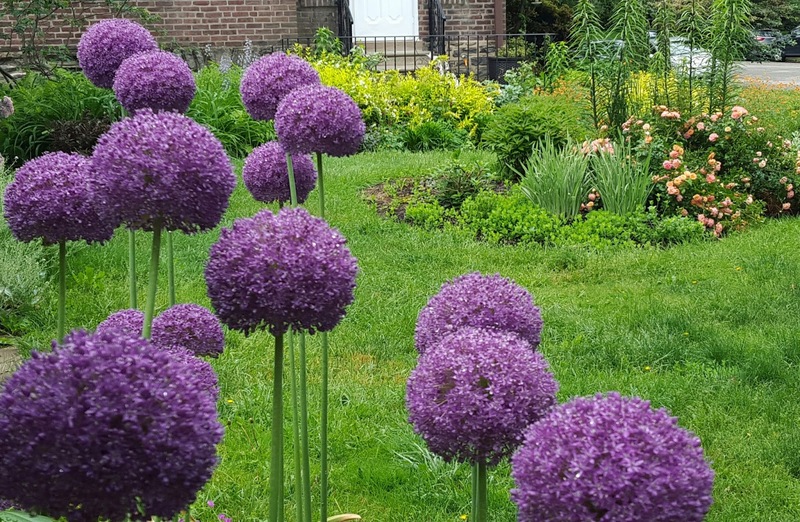 What started out as eight mail ordered bulbs from the VanEngelen catalog is now one of our gardens most beloved features. 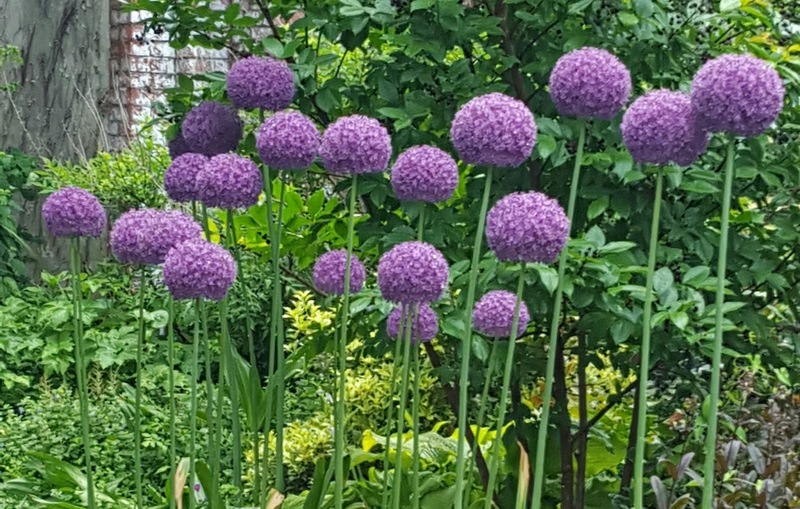 When this later-blooming variety of onion family bulbs blooms, visitors slow down, take pictures, ask "What are THOSE?" 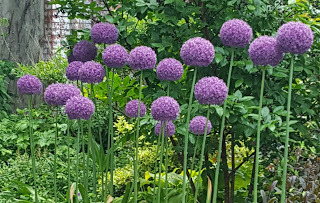 Happily, they have multiplied and the dense purple orbs on sturdy stems create a real party in the park, - like helium balloons!